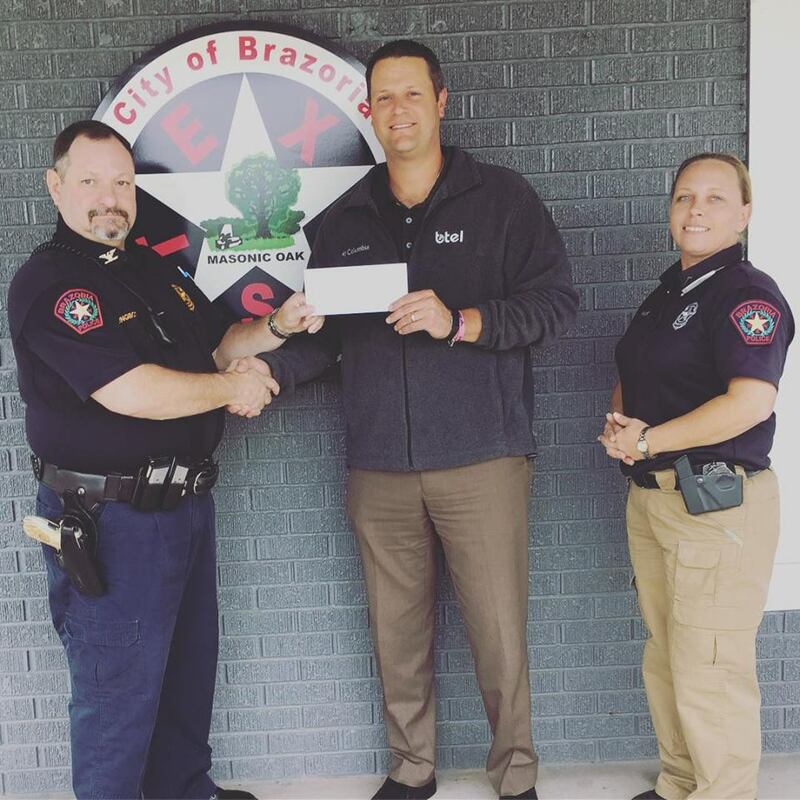 Btel was proud to donate $500 to the first annual Shop With a Cop program hosted by the Brazoria Police Department! Shop with a cop pairs officers with underprivileged elementary school students to build positive relationships while shopping for holiday gifts. The unique experience will help students form a relationship with law enforcement, making it less likely for the children to get in trouble with the law and more likely to seek help from police when they need it. Thank you to the Brazoria Police Department for always keeping us safe and volunteering your time to shop with these kids!